At first I thought this was something straight out of Doctor Dolittle, a pushmi-pullyu eel. Alas, no. 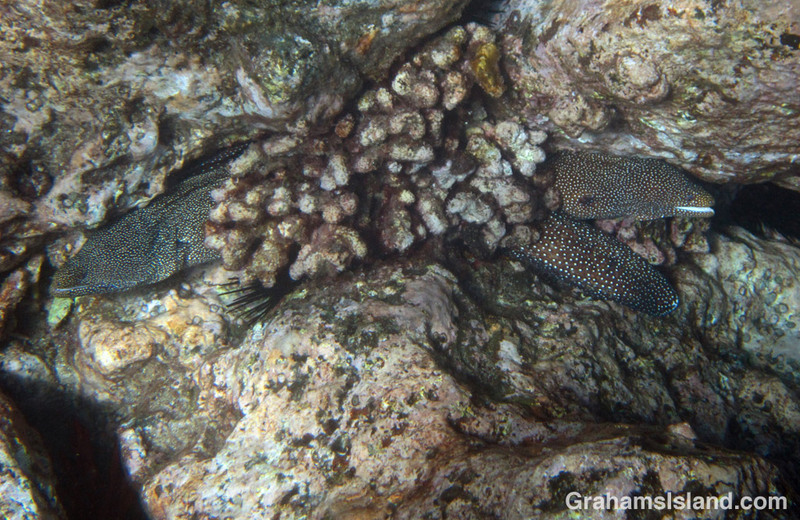 Instead, it’s two whitemouth moray eels wedged into the same space behind a clump of coral. While whitemouth moray eels are a fairly common sight in the water, this is the first and only time I’ve seen two together. I don’t know whether this proximity was related to breeding. Perhaps they were just helping each other stay warm! Looks like they must be pretty good friends.